Dubai was on our bucket lists long before we planned a round the world trip. When the opportunity came about to add a week stopover before heading to India, we jumped on it. Nestled on the waterfront of the United Arab Emirates, Dubai is one of the most modern cities in the world. World class service, bright skylines, white sand beaches, and luxury experiences await those who visit. Here’s our list of the top things to do in Dubai. 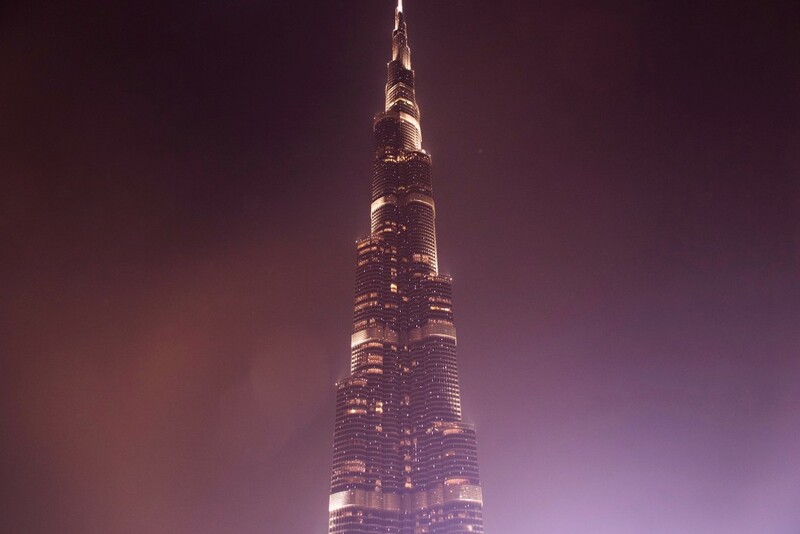 A visit to Dubai is not complete without finding a good spot to admire the tallest building in the world. At 830 meters high, the Burj Khalifa towers over the rest of Dubai’s skyline and is a fantastic sight to see, especially at night. A ride to the top will cost a pretty penny, but the building can be viewed from almost anywhere in downtown Dubai for free. The Palm Jumeirah is a set of artificial islands extending into the Persian gulf. Designed by Nekheel, a company owned by the Dubai government, the islands offer fantastic beaches and are a beauty to take photos of. They are also an amazing place to skydive over! For the shopaholics and mall-goers, this is the mall to conquer all other malls. The Dubai mall is the largest mall in the world and welcomes more tourists every year than all of New York City. Make sure to wear a good pair of walking shoes, because with over 1,200 stores to choose from, the Dubai Mall can take an entire day to see by itself. After shopping until either your feet or your wallet hurt, head outdoors to catch the nightly fountain show. The show plays every 30 minutes each evening from 6pm to 11pm. Set to different soundtracks, water jets shoot streams from the water into the air while a light show plays. It’s truly a breathtaking sight and one of the top things to do in Dubai. Dubai has a section of the city filled with museums, and the Dubai Museum is a great place to start. 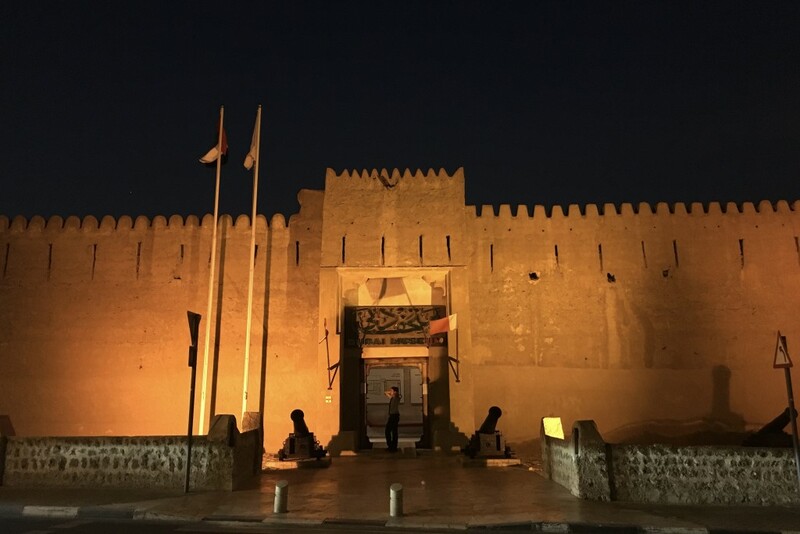 The museum begins in an outdoor courtyard with exhibits of how Dubai used too look and function, and continues to an underground (and air conditioned) area to dive deeper into the creation of the city that’s there today. Entry is only 3 dirham (75 cents) and the museum gives a nice overview of Dubai’s history. Dubai lies directly within the Arabian desert, and many outdoor activities can be enjoyed just outside the city. A multitude of companies offer both day and overnight desert trips, with opportunities to ride camels, dune bash in 4×4’s, and sip tea while watching live entertainment surrounded by orange sand dunes. Be sure to check the reviews before booking, or ask your hotel for a company recommendation. Forget 4 and 5 star hotels – you’re in Dubai! 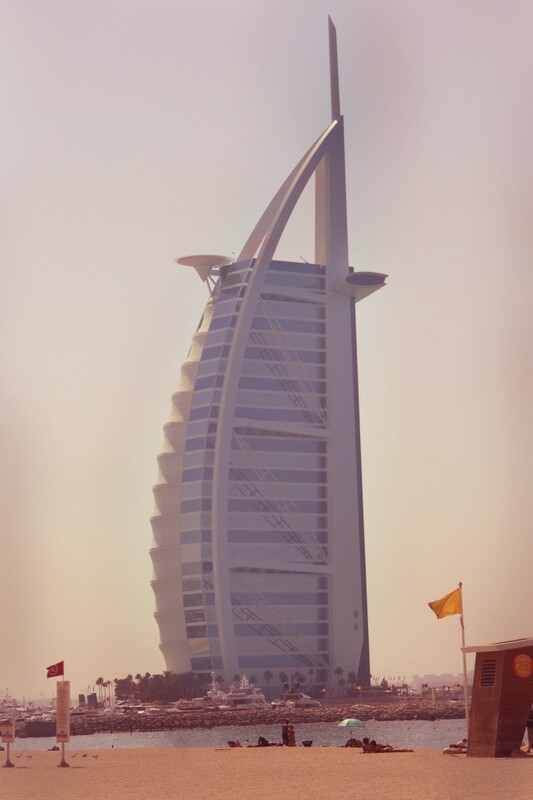 The Burj Al Arab is the only 7-star hotel in the world, and guests can expect top notch services and amenities. Prices per night start at $1,500, and for those just wanting a glimpse inside be sure to book a reservation. Only those attending dinner or afternoon tea are permitted entry. 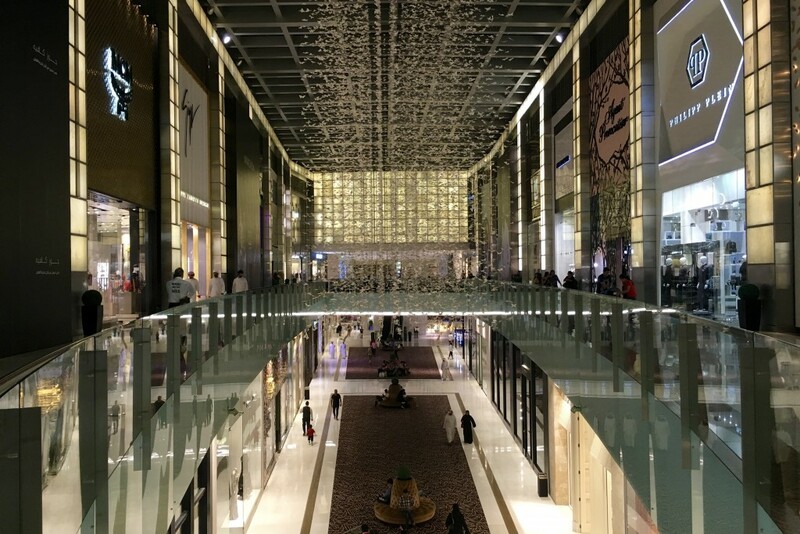 The Mall of the Emirates is a massive shopping center and one of the biggest malls in Dubai. In addition to having over 1,000 stores, it’s also the home of Ski Dubai. Visitors can ski indoors at the middle east’s first indoor ski resort, visit the Magic Planet entertainment center, or watch a play at the mall’s theatre. Dubai wasn’t always an ultra-modern city, and remnants of the old city still remain. 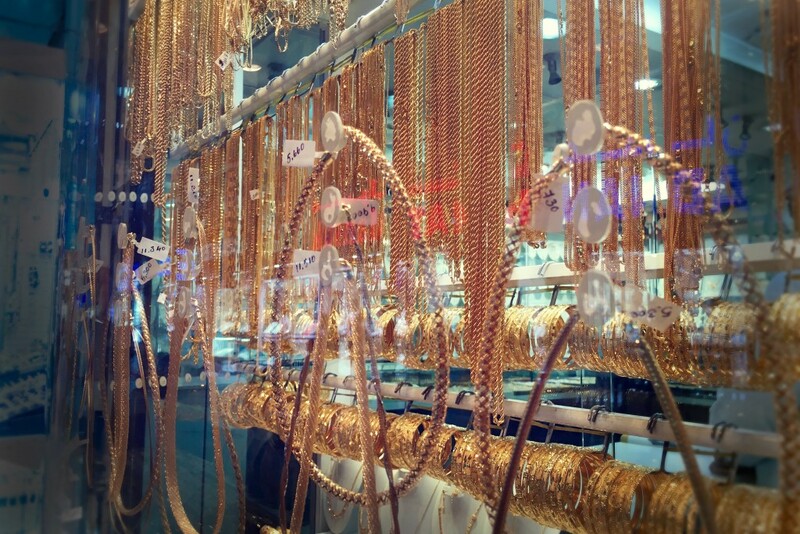 Head to Deira to browse the gold, spice, and perfume souks, and don’t forget to barter the price down! Though not the biggest or busiest mall in Dubai, WAFI city is a fun place to stop by for a few hours. The complex was designed and built with an Egyptian theme in mind, and stays true to the concept with statues and even the pyramid complex design. Inside WAFI is a shopping mall, hotel, apartments, and a night club. On Sunday nights, head to the Rooftop Gardens to catch a free classic movie with bean bag chairs under the stars and desert sky. 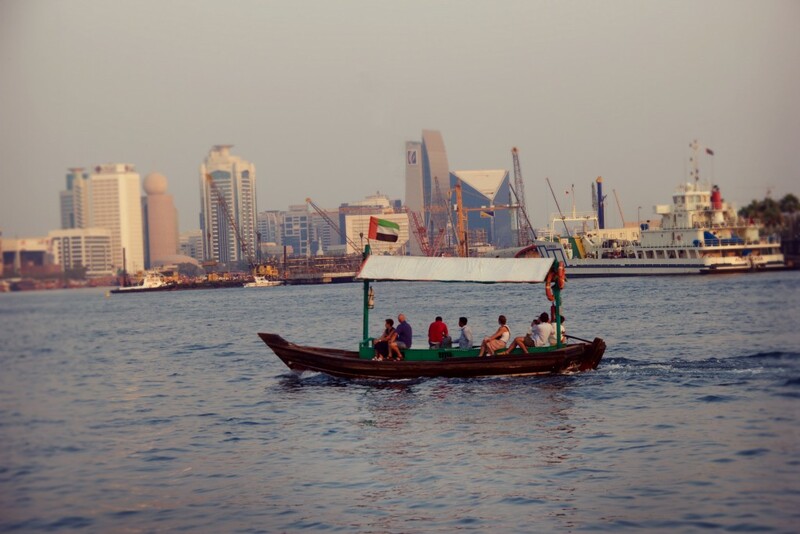 Abra’s, or water taxis, are a great way to see the Dubai Creek. Hop on a water taxi from either side on the bank and ride across the river for 1 dirham. The views are beautiful and it’s way more fun than taking the metro. One of the top things to do in Dubai is explore Old Dubai. Deira City Centre leis in Old Dubai and is similar in size to the Mall of the Emirates. With over 370 stores and 58 restaurants, the City Centre is a good place to take metro to and then explore more of Deira and the old city. The Dubai Marina is a residential area and artificial canal city built along two miles of the Persian Gulf shoreline. 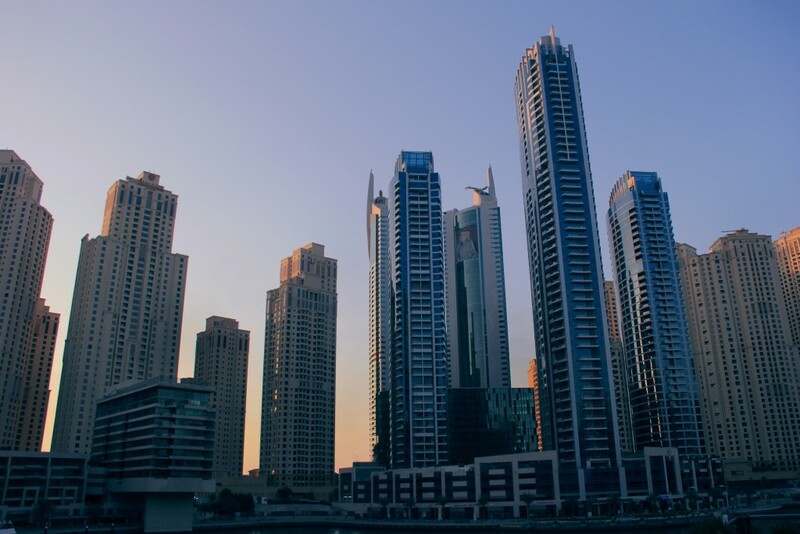 Though primarily used as a housing area, the marina is a great spot to walk around, take photos, or shop at the Dubai Marina Mall. Dubai is known to be extravagant, and delivers ‘above and beyond’ experiences when it comes to dining. Many of the over the top options also come with a hefty price, but for those who can pay its worth the experience. Sip cocoa in a literal ice lounge, dine underwater surrounded by an aquarium, or order from a table who’s surface is a digital menu. Dubai has endless unique dining experiences. 15. Explore to your heart (or budget’s) content! This list truly scratches the surface of things to do in Dubai, and with the right budget, one could spend quite some time exploring every experience the city offers. Dubai is a great place for a splurgy vacation, and a paradise for the uber rich. We definitely recommend a visit and can’t wait to hear about some of your favorite things to do in Dubai!